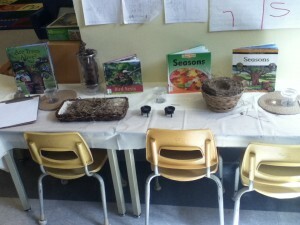 We are currently working on growth and change as an inquiry focus. 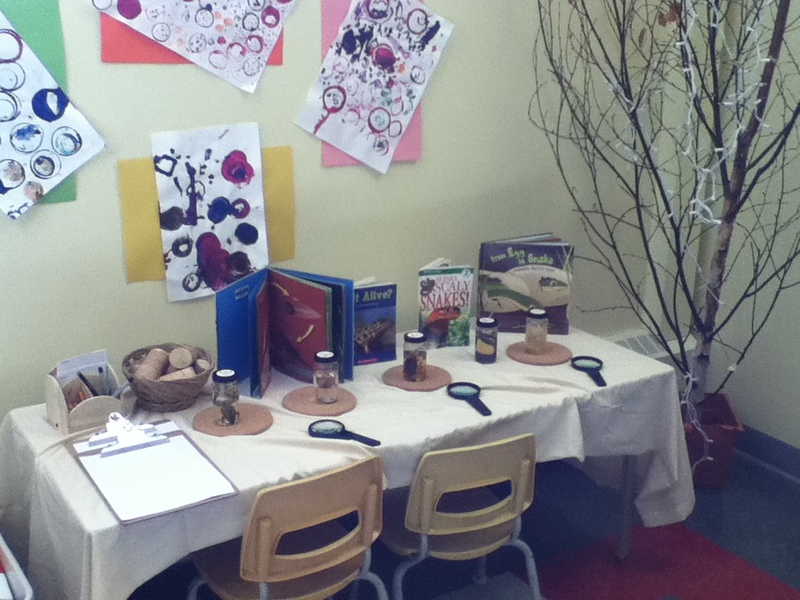 I have selected materials that we have found in nature as well as some science items like worms, frogs, chicken embryos, and grasshoppers for the children to examine. We have studied some of them using our KWL chart—becoming researchers and looking in books, and on the internet to answer our “I wonder” questions. Through this learning process, children have been exposed to several types of non-fiction books (we compared fiction and non-fiction), learned how to journal their observations with adult support, and have drawn diagrams with labels. The materials are left for them to explore during our learning block of play. As children explore I will often place myself into the space to hear their conversations, to encourage them to record what they see, and to ask open-ended questions about their thoughts or to extend their learning. Next we will be adding our Butterflies to the collection!